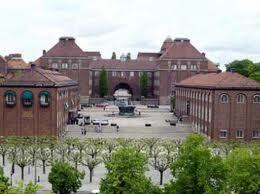 KTH is the largest technical university in Sweden. Education and research cover a broad spectrum within natural sciences and engineering, as well as architecture, industrial engineering and management, urban planning, work science and environmental engineering. KTH has 13344 full-time students, with 6955 at the Bachelor (first) level, 5545 at the Master (second) level, 1314 students at the doctoral studies (third) level, and 3900 employees. The School of Electrical Engineering (EE), with twelve departments and three competence centers, holds an internationally prominent position in basic and applied research, and it offers high quality education in five main areas: Electrical Power Engineering, Fusion and Space Plasma Physics, Telecommunications and Networks, Information and Control Systems. The School of EE offers a dynamic, creative, international environment to its approx. 300 employees (34 professors, 40 senior researchers and lecturers, and 160 doctoral students), and it is located on the main KTH campus in central Stockholm, a diverse and multicultural city. Within EE, the security of networked systems is recognized as an issue of strategic importance, with new related activities recently initiated, in particular the Security group within the Department of Communication Networks (LCN). Our work combines theoretical approaches and experimental work, with results published over the past eight years that have attracted the attention of the research community. We have investigated problems ranging from secure and fault-tolerant communication and secure positioning to designing new security architectures and to enhancing location privacy. Our mission is to create trustworthy networked systems. We invite applications for PhD research assistantships. We are looking for highly motivated individuals interested in pursuing research and graduate studies on the security of networked systems. The positions will be with the Security group at LCN, and the successful applicants shall benefit from a network of collaborations in KTH and beyond. The Security group is internationally oriented and offers a stimulating and enjoyable working environment that favors diversity. The emphasis of the envisioned work shall be on design and analysis of secure and privacy-enhancing protocols. Candidates with strong experimental/systems or theoretical profiles are encouraged to apply. A PhD assistantship at KTH can extend to up to five (5) years, with 80% of the time devoted to research and 20% to teaching duties. The salary is set according to the standard agreements for PhD student employment at KTH. The starting dates are planned for the spring term of 2011. Applicants must hold or be about to receive an MSc degree in computer science, electrical engineering, computer engineering or a related area. Excellent academic credentials, written and spoken English proficiency, communication and team-work skills, and well-documented computing and communications background are expected. Expertise in several of the following areas is required: computer security, mobile computing, networking, Internet security, wireless communications, distributed algorithms, programming languages, performance analysis, operating systems, simulation techniques and tools, software engineering, system and network programming. Demonstrated experience on security and privacy engineering will be an asset. Cover letter: a one-page summary of your application. Curriculum vitae: a document of up to four (4) pages, including all your relevant academic, professional, and other achievements, experience, and knowledge. Transcripts and degrees: official documents from your previously attended University-level institutions, with certified translations in English (unless provided so by the issuing institution). Recommendation letters: Please arrange for at least two (2) recommendation letters to be received by the application deadline (as per the application submission instructions below). Please include detailed contact information for at least two (2) references (including the two you arranged for). Statement of purpose: Please state why you wish to pursue a doctoral degree, what are your academic interests, how they relate to your previous studies and future goals. Maximum two (2) pages long. Representative publications or technical reports: Please provide up to two (2) documents, no longer than ten (10) pages each. For longer documents (e.g., theses), please provide a summary (abstract) and a web link to the full text. Please set your email subject to “Application for the Security PhD assistantships – EE 2011”, address your email to Mrs. Liselott Sandahl and specify in the email body “Security group – LCN, EE, KTH”. You will receive an acknowledgement upon receipt of your application. Demikian kami sampaikan tentang PhD student positions in Networked Systems Security at KTH Royal Institute of Technology semoga informasi tentang PhD student positions in Networked Systems Security at KTH Royal Institute of Technology ini bermanfaat.